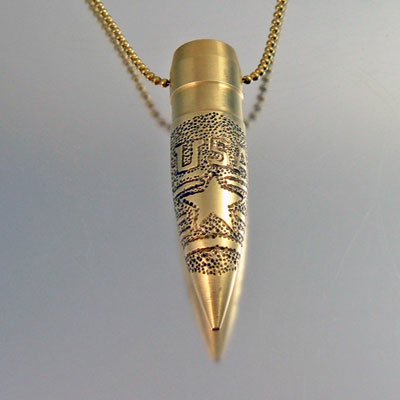 Home > Bullet Jewelry > .50 Caliber Bullet Necklace "USA"
.50 Caliber Bullet Necklace "USA"
This new design of .50 caliber bullet necklace is making its introduction June 2012. It's another original, a first, and never seen before design by artist Julie Teeples. 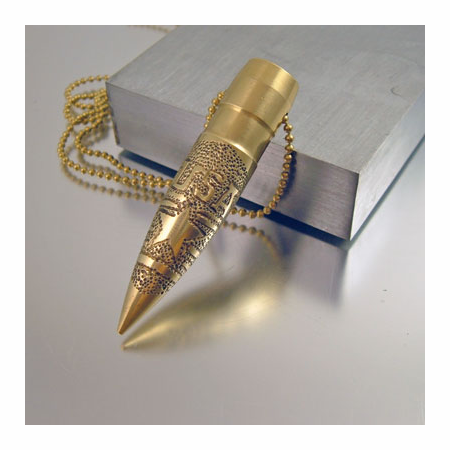 The USA design is hand drawn then carved into a .50 caliber banded solid brass bullet head. The design says it all, it's big, bold and the USA doesn't back down. 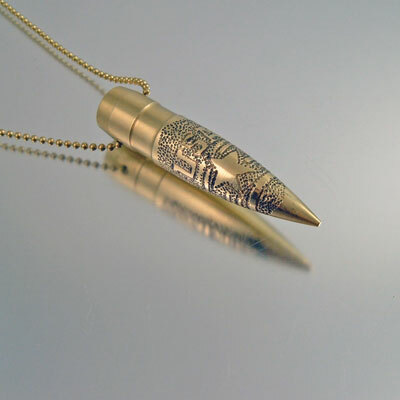 A great bullet necklace for anyone in the military, arm forces, or someone who loves to display the strength of their country. 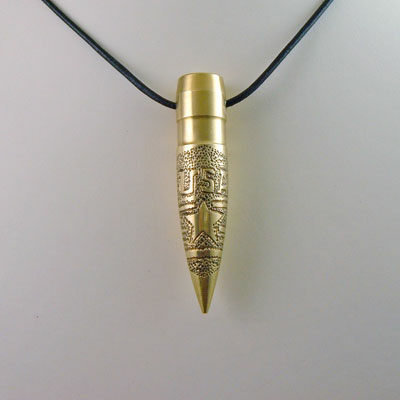 This particular bullet necklace has been sold. 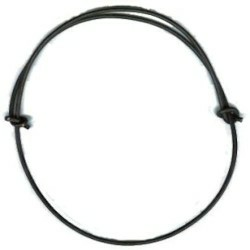 A similar one will be made especially for you when ordered. Please allow additional days for it to be individually made and shipped. 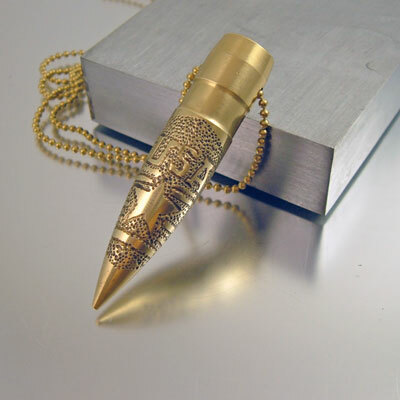 If you have a design idea or want to customize your .50 please email me; I may be able to make it for you. All images, ideas and concepts found on this site are the intellectual property of the artist who created them and are protected by copyright.